A very large test and calibration centre for the oil and gas industry located in Rotterdam, the Netherlands, comprises various independent oil rigs for several oil types as well as high pressure gas loops. The purpose of this highly sophisticated calibration and R & D test site is to provide a high capacity as well as highly accurate measuring values for the testing and calibration of flow measuring devices. Recently, three new calibration rigs for liquids with different viscosities were built. The liquids used for calibration are all hydrocarbons with viscosities ranging from 1 cSt to 10 and 100 cSt. In order to ensure stable temperature conditions during the calibration process, these liquids need permanent cooling. All three calibration loops have a cooling unit. The calibration loops are connected to the cooling station through 3 cooling lines. These cooling lines are DN 200 / 8” carbon steel pipes. During every calibration process a certain amount of the calibration liquid is required to run through these cooling lines to keep the temperature stable. That’s why the customer was looking for a cost effective measuring instrument to measure the volume of the calibration fluid to monitor the amount of liquid running through these cooling units. The customer decided in favour of 3 complete OPTISONIC 6300 field systems with large sensors. 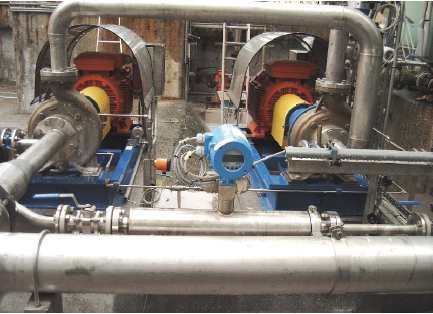 Each ultrasonic clamp-on flowmeter system consists of two rails with one transducer. In order to control the amount of calibration fluid that runs through the coolers, the readings are provided in a control room via a 4…20 mA current output. The Clamp-on devices allow the customer to maintain a stable calibration process. The accuracy of the OPTISONIC 6300 is more than sufficient for this application. In using the OPTISONIC 6300 the customer always knows if the amount of calibration liquid running through the cooling line is correct or if it needs adjusting. 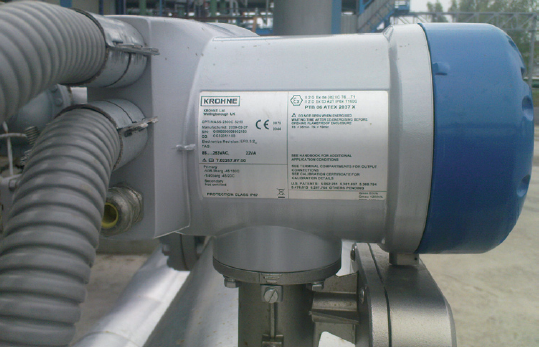 The solution provided by KROHNE addressed all of the customers requirements.There was no need to adjust the process or even open the pipe work due to the highly flexible clamp-on technology. 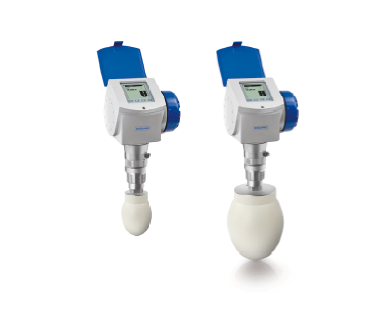 The OPTISONIC 6300 turned out to be the most cost effective flowmeter for the customer. 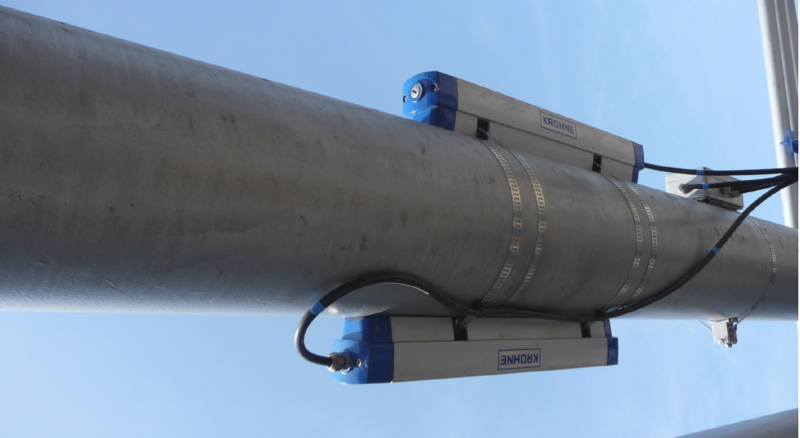 It can be used on virtually any nominal size without the cost rising when mounted on pipes with larger diameters. The Krupp Mannesmann GmbH (HKM) smeltery operates two continuous casting lines at their Duisburg location for the production of round bar steel to manufacture alloyed boiler tubes, ball bearing steel and other forging goods. The liquid steel is poured from the pan into a distributor and then flows through five or six water-cooled casting dies that form the continuously cast rounds (180 to 406 mm / 7 to 16 in). 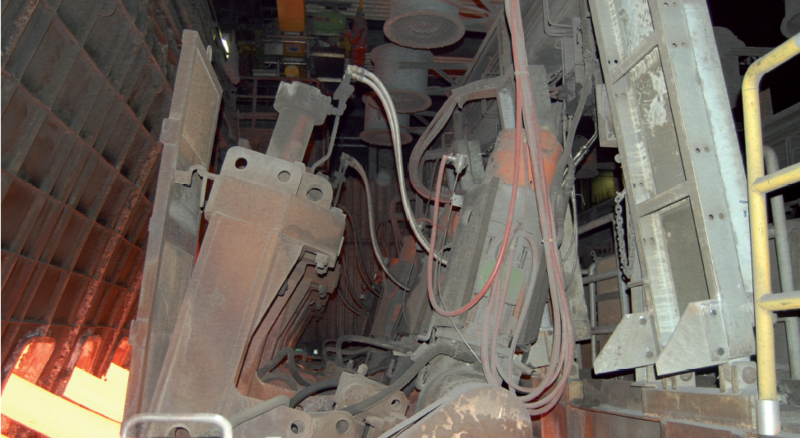 The steel is conveyed through the casting machine via four or five driver machines per strand. Due to the continuously cast rounds, the area surrounding the first three driver machine rows behind the ingot mould in particular is heated up to several hundred degrees Celsius. The motors that power the driver machines must therefore be permanently cooled using fans and a cooling water circuit. It is also necessary to monitor the operating temperature of the expensive gear mechanism to prevent constant overheating (>50-60°C / 122-140° F). 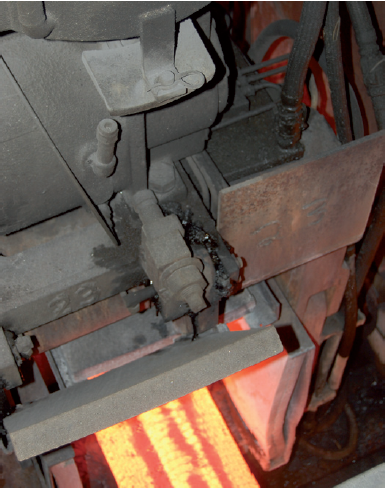 New temperature meters were installed on one of the two casting lines. However, they could not withstand the extreme requirements and had to be replaced several times after only a few short weeks. HKM thus started looking for a stable, reliable temperature measuring solution for the 15 gear mechanisms in the first three motor series. HKM made the decision to use 15 OPTITEMP TRA-P14 resistance thermometers to monitor the temperature of the gear mechanisms. When it came to contact temperature measurement, Pt100 temperature sensors were inserted approx. 100 mm / 4 in into the gear box via a clamp-compression fitting. The thermometer connection heads are mounted directly on the water-cooled cladding of the motor. OPTITEMP TRA-P14 connection heads are made of stainless steel. In addition, special heat-resistant gaskets as well as a suitable cable gland were used. The resistance signal is applied in the connection head to a temperature-resistant ceramic clamping socket. A thermal jacket then provides protective insulation for the cable and it is through this that the 4-wire resistance signal is forwarded to a central control room. With the KROHNE OPTITEMP units, HKM once again has thermally-resistant thermometers that are constantly stable. They are capable of reliably monitoring the temperature development of the gears, even at high ambient temperatures. This way, the thermometers make a valuable contribution for steel specialists to the timely detection and avoidance of constant overheating and thus destruction of the expensive gearing mechanism on continuous casting. 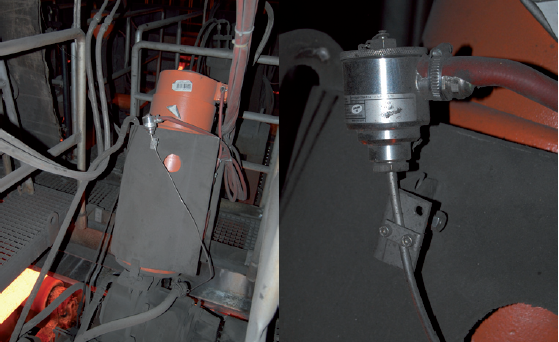 Using the Pt100 sensors prevents prolonged interruption of the production process. With the demand for gas growing, the storage capabilities for gas are increasingly playing a vital role to keep a nation’s gas supply secure and flexible. In this respect the Castor Underground Gas Storage (UGS) project has been one of the most important investments in the Spanish gas network in recent years. In the city of Vinarós an onshore plant for the treatment and conduction of natural gas ensures that the gas can be effectively transported and finally stored in an depleted offshore oil field. The storage terminal operator Escal UGS was looking for a cost effective measurement solution to control the flow volume of the natural gas transported from the onshore storage terminal to the offshore platform, i.e the storage pit, and back from the storage to delivery. 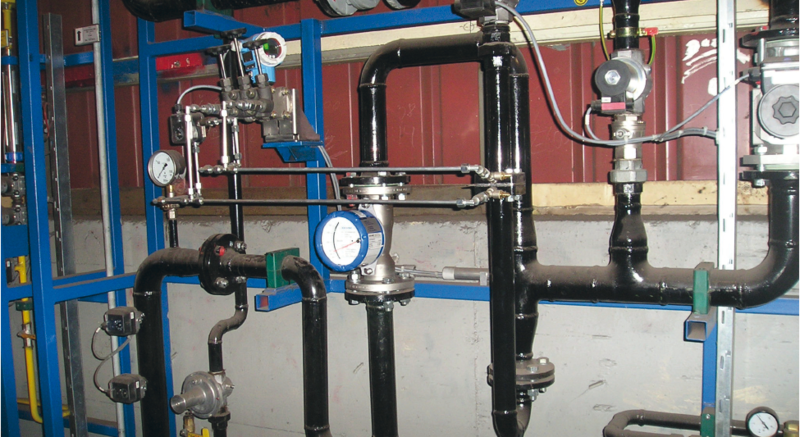 This required a redundant flowmeter for the delivery of natural gas to the measurement station as well as a site internal flow control of natural gas and a measurement of the natural gas used as fuel for local consumption. 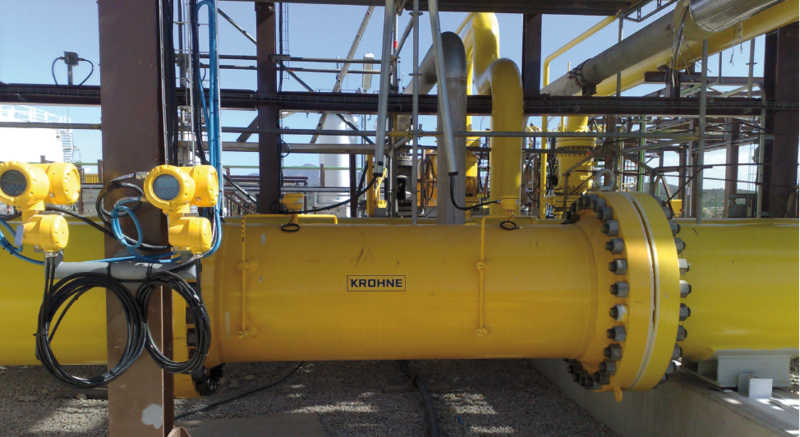 KROHNE delivered 3 units of the OPTISONIC 7300 F. One device was installed in a special configuration as dual universal ultrasonic gas flowmeter with a nominal size of 30”/600 lbs (DN 750) for delivery of gas to the measurement station. The device is capable of measuring a wide flow range of 0…900.000 kg/h. 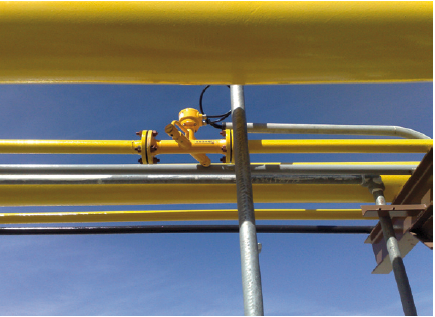 A second flowmeter, 24”/900 lbs (DN 600), was used for flow control in the gas storage process. 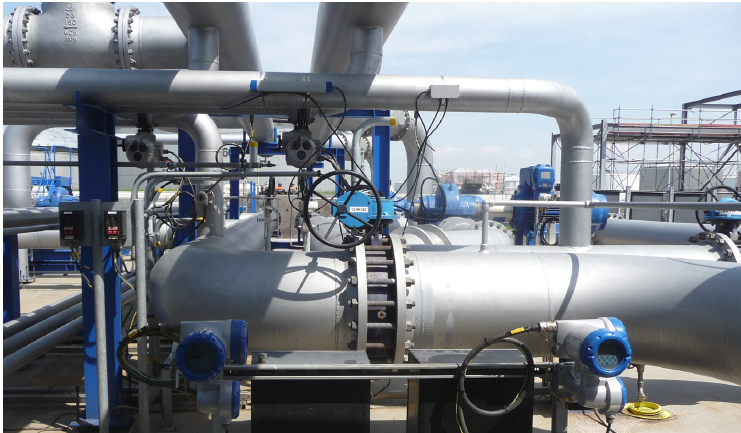 A third OPTISONIC 7300, 2”/150 lbs (DN 50), was applied for measuring the local consumption of natural gas as fuel gas. As demanded by the customer, KROHNE delivered the OPTISONIC 7300 F in accordance with special painting procedure specifications. In using the OPTISONIC 7300 F the storage terminal operator Escal benefits from an optimised volume control of the natural gas storage. 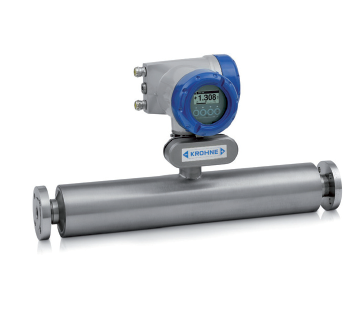 The 2 beam ultrasonic flowmeter offers excellent long term stability and repeatability. No moving parts are used and the device doesn’t need recalibration and maintenance. The OPTISONIC 7300 allows for a wide measurement range. Instead of customising a regular but more expensive CT ultrasonic flowmeter, KROHNE individually designed the solution according to the non-CT requirements which makes it a very economical device for the customer’s natural gas application. avoid undesired reactions such as oxidation and combustion. This requires the industrial furnaces to be gas-proof. Protective gases include nitrogen, argon, helium and forming gas. With limited gauge pressure, protective gas flows continuously into the furnaces in order to displace the air/oxygen. For this application, the protective gas atmosphere is established by nitrogen adjustment control in the range of 15…40 Nm3/h. The supply gauge pressure of 8 bar is reduced to 100 mbar in two steps. The limited space available necessitates compact installation and short inlet and outlet runs. A 4…20 mA current output signal must control the adjustment valve of a superimposed system to regulate the desired nitrogen flow. 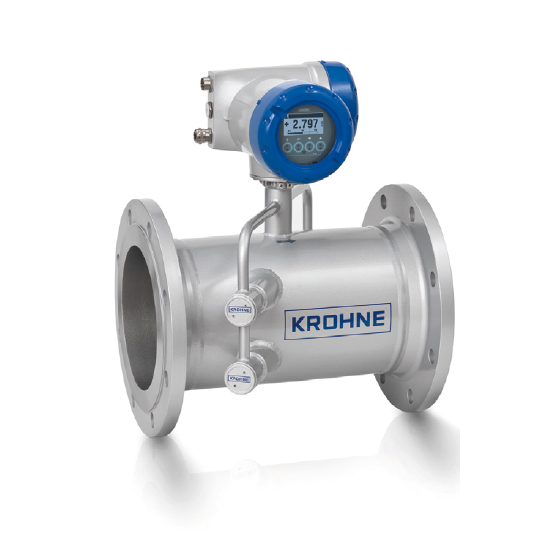 To measure the nitrogen, KROHNE supplied a DN50, H 250 M40 variable area flowmeter with flange connections. 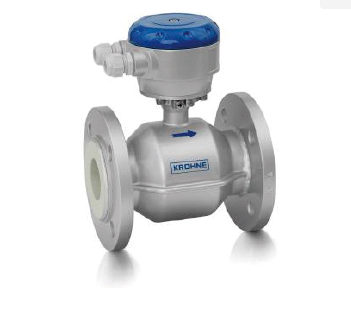 with 2-wire connection technology to control the adjustment valve. The 1.6% measuring inaccuracy is absolutely adequate for this measurement task. The modular design of the H 250 M40 allows for simple combination of a mechanical measuring device with highly developed digital electronics, as in this application. 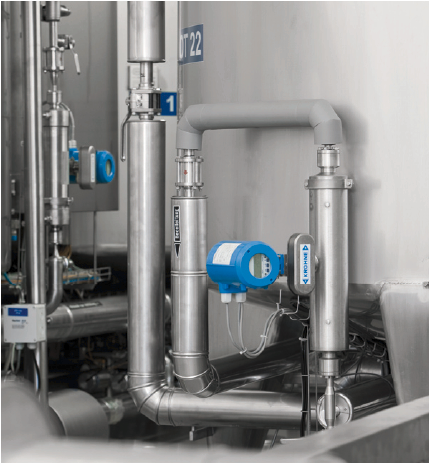 When it comes to measuring clean products at low fl ow volumes, variable area flowmeters are the most widely used measuring principle for liquids and gases. 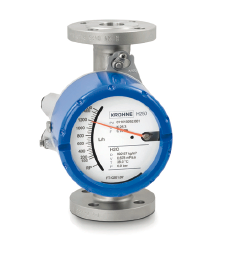 Other measuring principles usually require a minimum density and/or minimum fl ow velocity whereas variable area flowmeters are specifically designed for the measurement of low gas flows with simultaneously low operating pressure. Other advantages include the low investment and follow-up costs as well as the insignificantly short inlet and outlet runs forinstallation. • Many process connection variants: flanged, screwed, clamped, weld-on ends etc. 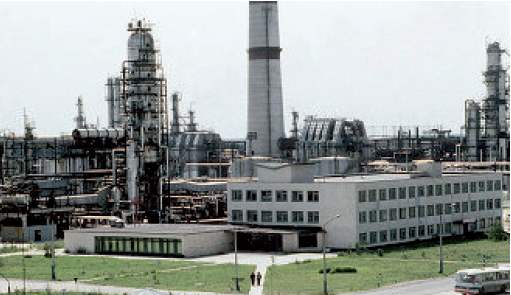 The JSC Mozyr oil refinery refines crude oil and other fuels in Belarus. 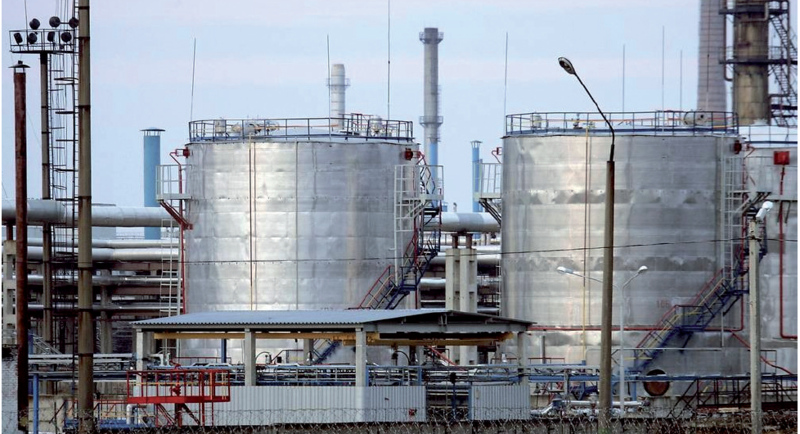 The crude oil for refining is imported from Russia and Venezuela via the Ukraine. The main products include fuels such as petrol, jet fuel, diesel fuel and domestic heating fuel. 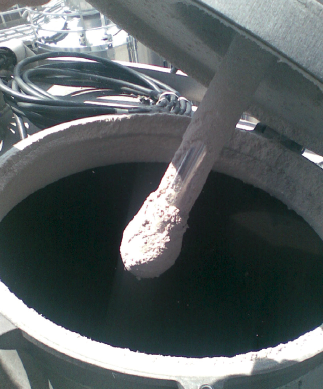 A variety of bitumen products for road building, for roofing felt and other applications are also manufactured. In addition, the refinery also produces liquefied gases including hydrocarbon fuel gases, butane and other products such as vacuum gasoil for export, commercial sulphur, lamp oil and gasoline-pyrolysis feedstock. The first mass flowmeter is required to measure the flow of crude oil in the supply pipe to the primary oil refining. The mass flow rate here is 1600 t/h. The second meter is used to measure black oil in the pipeline to the Commodity and Raw Materials Park. Additionally the customer required simple installation, high accuracy and smooth integration of the new meters into existing systems. 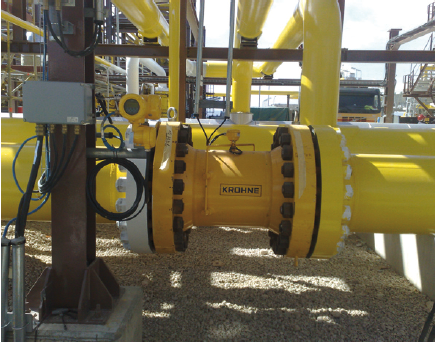 For this application, KROHNE supplied 2 OPTIMASS 2300 C mass flowmeters, size S 250s / 10 inch. It is extremely easy to install these OPTIMASS meters in existing pipelines as there are no restrictions on installation. 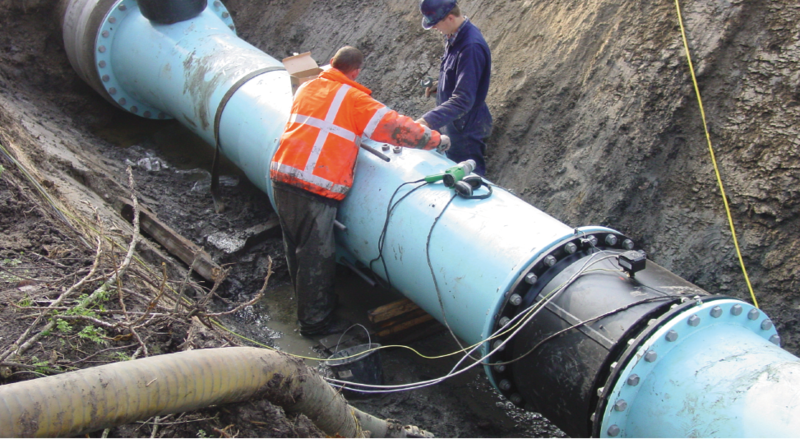 Vibrations in the pipeline have no influence on the very precise measurements. 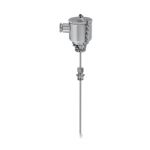 The compact design of the meters simplifies the electrical connection and the meters come equipped with density and temperature measurement as standard. The meters can be commissioned and operated without any special knowledge. 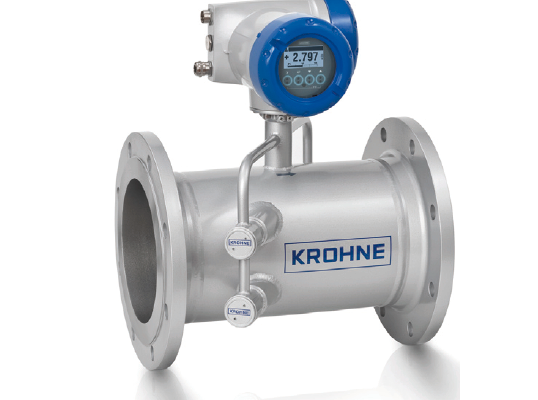 OPTIMASS mass flowmeters from KROHNE offer many advantages. Excellent long-term stability and repeatability ensure exact measuring results with the OPTIMASS 2300 C. This mass flowmeter measures mass directly, eliminating the need for recalibration, even when process parameters vary. Extensive diagnostic functions facilitate self-monitoring of the systems and give prompt indication of possible errors in the system. 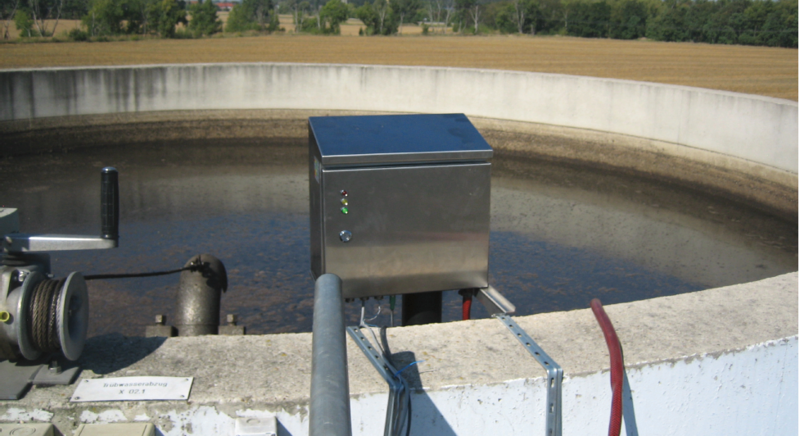 Energy saving possibilities continue to gain importance at sewage treatment plants. A large portion of the cost involved is used to heat the digestion towers. By increasing the suspended solids content of the sludge fed to the digestion tower, these costs can be lowered. A higher suspended solids content in the sludge concentrator means less water in the sludge to be heated in the digestion towers. 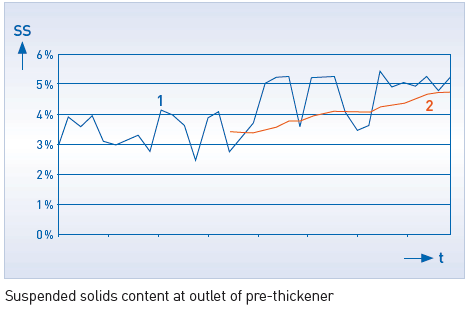 Optimised prethickening of the sludge contributes directly to energy savings. This requires precise control when filling the thickener. Filling the thickener to a higher level results in the bottom sludge layers in the settling cone being more strongly compressed, thus increasing the suspended solids content at the outlet. advantage because the sensor runs through all of the layers and by directly measuring the concentration is able to detect all of the phases in the tank more reliably than the indirect measurement offered by ultrasound. via integrated spray cleaning, which automatically eliminates contamination following a measurement. costs can be saved in the downstream treatment stages such as heating of the digestion towers and the dosage of flocculants. In addition, filling can also be automated via the continuous measurement of the sludge blanket. 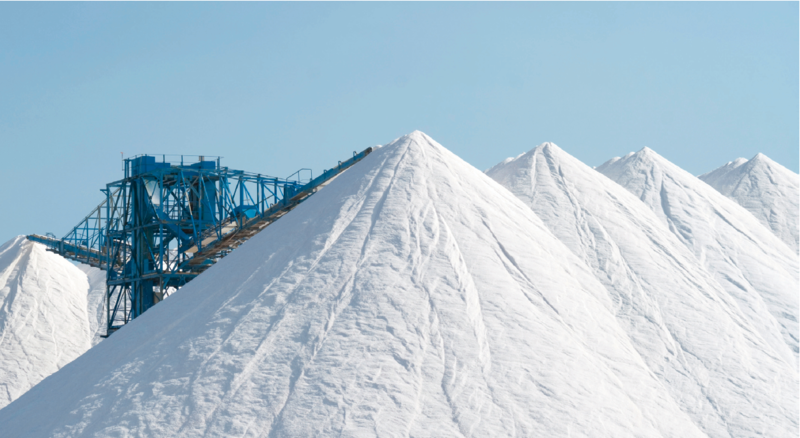 In salt production there are two methods of extracting the salt; dry mining and solution mining. Nowadays it is generally solution mining carried out with so-called bore hole probes. A salt manufacturer modernised its facilities in order to optimise production processes and reduce environmental impact. A lime and plaster mixture settles on the floor of the tanks holding the brine and it must be removed regularly. During removal it is important to only pump out and dispose of the lime/plaster mixture and as little brine as possible. Up to 70% of the further processing of brine is done today in so-called boiling salines. When pumping out the lime/plaster mixture, the exact separating point from the brine must be found so as not to dispose of the brine. To determine this, the density must be measured. The density of the mixture is approx. 1.3 kg/l, that of pure brine approx. 1.15 kg/l (l = Liter). In order to improve the environmental balance, the lime/plaster mixture may no longer be disposed of in lakes. Instead, the hollow spaces created during solution mining, for example, can be filled with the lime/plaster mixture. 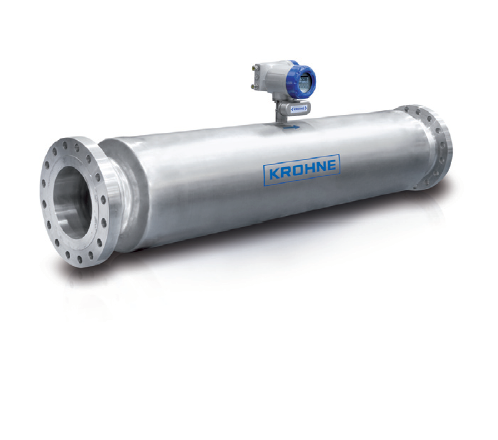 For customers in the mining and minerals industries, KROHNE’s OPTIMASS mass flowmeters offer any advantages, including low investment and follow-up costs. Excellent long-term stability and repeatability ensure exact measuring results with the OPTIMASS 7300 C meters. The devices work extremely reliably. Because OPTIMASS 7300 C measuring devices can measure the mass flow directly, recalibration becomes unnecessary, even with varying process parameters. 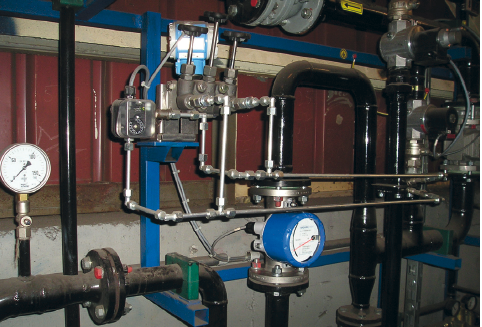 There is virtually no additional pressure loss due to the single straight measuring tube design of the mass flowmeters. This means that the required pump output is minimal. The goal to which the experts of Dunea are committed to every day is the production of high quality and reliable drinking water in harmony with nature. Over 1.2 million people living in the western part of South Holland rely on Dunea to supply drinking water 24 hours a day. Water is abstracted in the dunes between the cities Monster and Katwijk located along the North Sea coast. The method for preparing drinking water is unique and not used anywhere else in the world. Dune passage is a natural treatment method whereby human errors are practically ruled out and forms an environmentally friendly alternative to the purification of water with chemicals. The water resources in the dunes are sufficient for months of supply. Besides the purification of drinking water, Dunea manages the stunning nature of the dunes and protects the abstraction of drinking water. 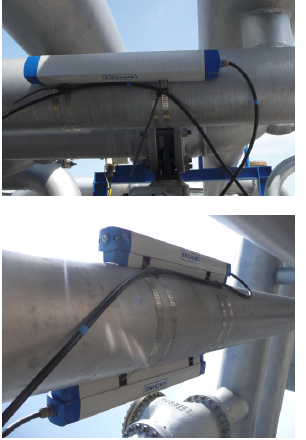 Dunea required electromagnetic flowmeters for the accurate measurement of the volume of water that is transported from its water resources in the dunes to its purification plant. The pipe has a diameter of DN 900. 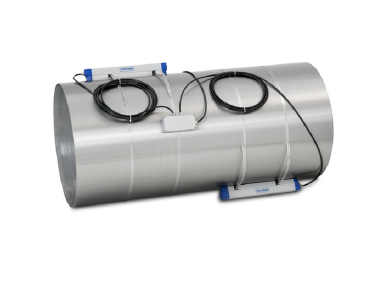 The main requirement of Dunea for the flowmeter has been that it is installed underground and that it is protected against temporary submersion. 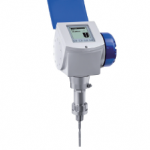 Also the accuracy and reliability of the measurement have been taken into consideration while selecting a flowmeter. In order to maintain the water balance, Dunea gets permission for abstracting water from its resources and therefore the volumes of water needs to be monitored accurately. 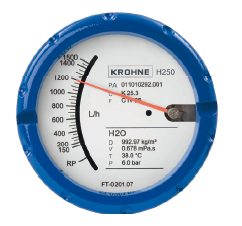 See the location of the flowmeter, any repair or maintenance activities that need to be done are very costly..
For applications where the flowmeter is subject to temporary or permanent submersion under water, such as in basements, pits or locations where the meter is buried underground, KROHNE has an excellent solution: the OPTIFLUX 2000. • The measuring tube consists of a fully welded stainless steel construction. As a result the construction is 100% water tight and leak free. It is not necessary to use burial (‘bitu’) tape as is often the case with threaded constructions. 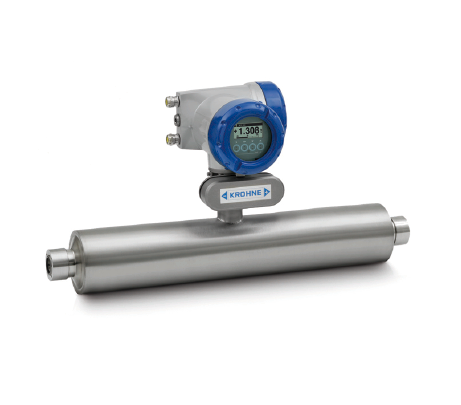 • The flow meter can be constructed entirely of stainless steel and has no plastic parts. 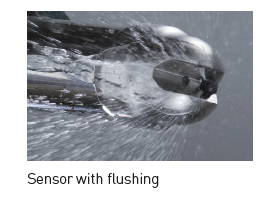 Also the connection box on the flow sensor, for housing the power cables between the flow sensor and the converter, can be supplied in stainless steel. Competitive products often use plastic materials, whose quality deteriorate over time and may cause leaks. • The cables can be poured off already during manufacturing in the factory in lengths specified by the customer. During installation no additional actions are needed. 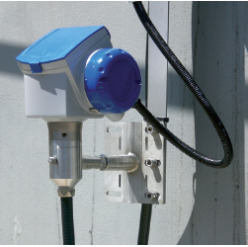 • The flow sensor can be provided with a ground coating especially developed for the buried installations. The excavation of a meter, for example for maintenance purpose, comes with high costs which the customer wants to avoid as much as possible. 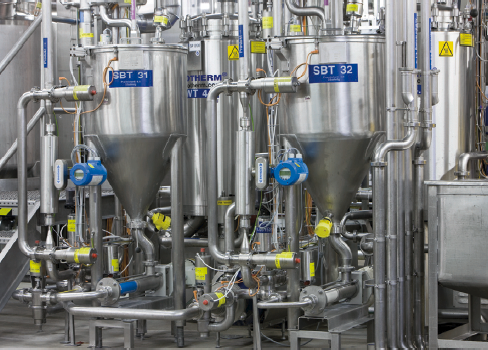 The maintenancefree construction of OPTIFLUX 2000, as described above, gave Dunea the confidence to choose for the KROHNE solution. Moreover, the PTIFLUX 2000 is very easy to install. Integrated diagnostic functions offer the customer the assurance that should problem arise either in the process or with the flow meter, the customer receives a warning. This construction is used by Dunea and many other clients already for years to their complete satisfaction in underground installations. A company that manufactures and processes PVC stores a variety of PVC shapes in several slim silos reaching heights of more than 20 m. They supply their own as well as third-party production. In addition to PVC powder and PVC granulate, regenerated PVC extracted from old shredded products is also tored. To ensure a reliable supply for production, the level in the silos must be continuously measured. The atmosphere in the silos is extremely dusty and the PVC dust raised is very sticky. 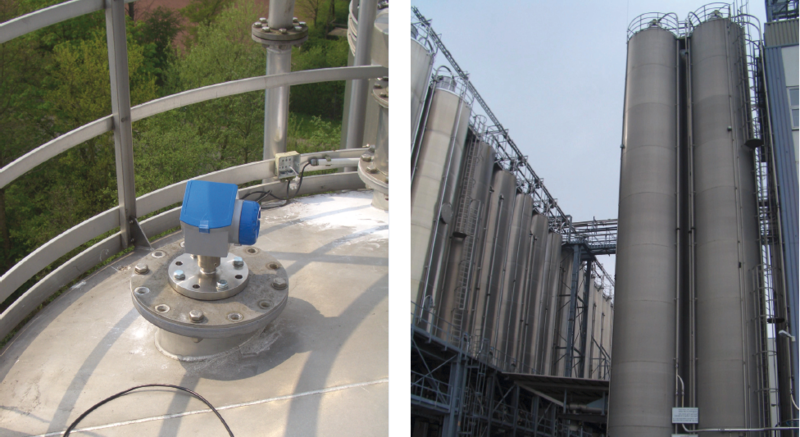 Level measurement was previously done using ultrasonic but this method often failed due to the great amount of dust; there is no compressed air supply installed on the tanks for the purpose of flushing the antenna. The customer was interested in non-contact measurement as an alternative. In an effort to find a suitable device, radar measuring devices from different manufacturers were installed as test units. 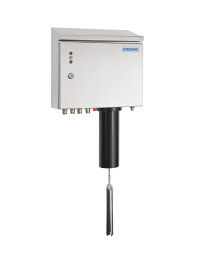 KROHNE’s OPTIWAVE 6300 radar level measurement device was recommended for continuous and noncontact measurement. When it came to the antenna, a polypropylene drop antenna (specifically designed for solid applications), with a nominal size of DN 80 was used. The larger DN 150 drop antenna was used for the particularly minimally reflective PVC powder. Compared to the DN 80 antenna, it features an even greater signal dynamic. In the comparative test, the OPTIWAVE 6300 devices provided reliable and stable measurement for all PVC shapes, especially at low tank levels. When measuring granulate, the devices could be used it without rotating mechanisms to align the antenna due to the high signal dynamic and increased focusing of the signals emitted. These mechanisms were only used for the extremely fine PVC dust to ensure more stable measurements. process at risk as a result of faulty measurements in the tanks. Edelweiß, one of Germany’s leading cheese producers, produces a wide variety of premium brand cottage cheese and spreadable cheeses. Depending on the final product, the base products vary, including milk and vegetable oil as well as various other ingredients but they must all be precisely dosed to ensure consistent quality. In addition to monitoring the dosing of the ingredients, the producer also monitors the overall yield of cheese from the raw milk product. 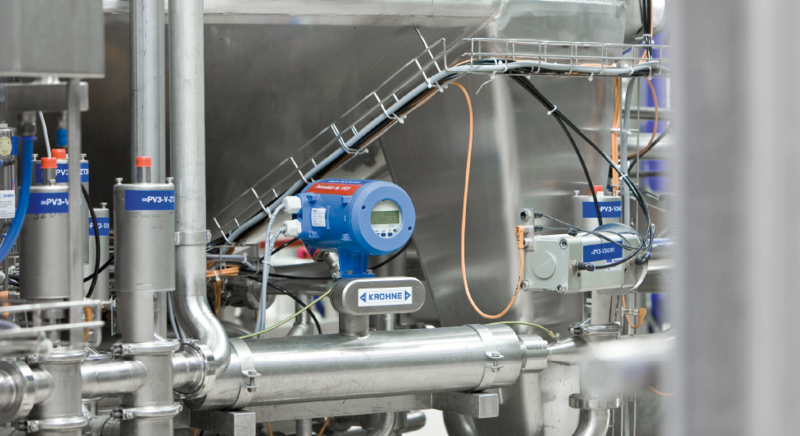 Years ago, cheese producer Edelweiß made the decision to replace all measuring devices with CORIOLIS mass flowmeters because these meters measure with higher accuracy and repeatability, thus ensuring the consistent quality of the end products. Measurement properties such as electrical conductivity and viscosity have no influence on the measuring accuracy. Besides milk, vegetable oil is the second major base material in cottage cheese production. Vegetable oil is highly viscous and is not electrically conductive. To ensure that the oil can flow freely, the pipelines are heated to prevent blockages when flow velocities are low. The quantity of oil used is measured directly at the outlets of the storage tanks. Solids and entrained gas must not influence the measurements. In addition, the devices must be suitable for use with foodstuffs and have the appropriate approvals.